Hyundai Genesis Forum > Hyundai Genesis Coupe Forums > General Discussion > Who does not use a catch can on the 3.8? Who does not use a catch can on the 3.8? Does anybody here believe that it's not that important to go thru the hassle of installing an oil catch can on the GDI 3.8 and running the high risk of the manufacturer warranty getting denied? Last edited by r-spectony; 4 Weeks Ago at 09:30 AM. b) It's not hard to install, what hassle? c) If you had screwed up so bad that a catch can caused a severe enough problem that a warranty claim gets denied, you deserve what you get. Magnusson Moss act, look it up. d) Who cares what others do, if you don't want to run one, don't run one. Do you need validation from the forum? Let ppl with cans run cans. It's easier to install on a 3.8 thank a 2.0 because you only need 1 catch can. andbudzi and r-spectony like this. also, would an aftermarket intake be required to install a can on the 3.8? No, it can be mounted in a number of locations that would allow you to keep the stock air box, firewall, opposite side of the engine bay, etc. If you mount it in an accessible location and keep the original PCV hose it will be very easy to reverse if needed. My car is a daily driver, I collect ~4oz. of stuff in my PCV can every 5,000 miles that would otherwise be coating the intake and valves, the effects of which on a GDi motor have been well documented since Audi and other brands went to it in the 2000s. If you have a BK2 3.8 and want to keep it well maintained for a long time I would argue that you need it, on the other hand if you had a BK1 3.8 with port injection I would say just run high quality gas unless you track the car. Ultimately it's up to you. The reason why direct injection needs more "oil" maintenance is because it's direct injected. The valves in the head get hot, oil film burns, causing carbon deposits on top of the valves, which leads to more valve guild wear, then increases clearances, then causes more oil on the top of the valves. With port injection, the gas flows over the top of the valves, which washes away excess oil as well as cools the valves some. "part" of the reason why the fr-s has both, which is a stupid system as to how it's implemented. Last edited by AKGC; 4 Weeks Ago at 11:46 AM. 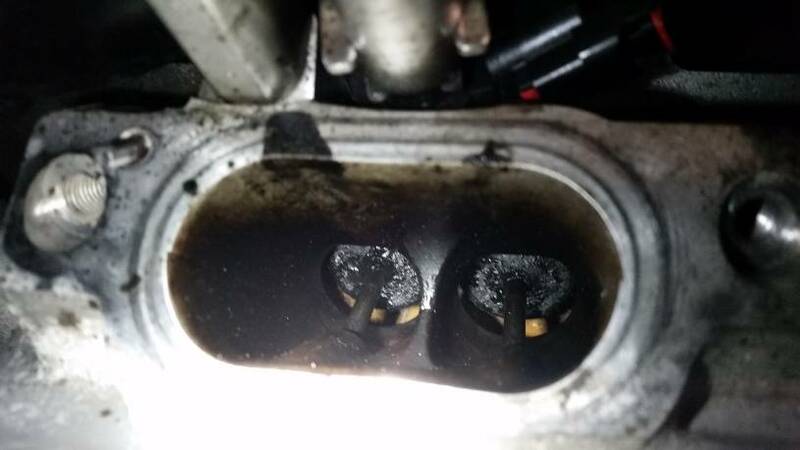 If running a GDI 3.8 it is best to install 1 .Those that say otherwise, don't give them a second thought as they ( if speaking about a GDI 3.8 ) don't have a FN clue .GDI engines have no way of ''washing" PCV oil coating from the intake manifold and intake cylinder head ports down with FI because fuel is directly injected into the combustion chamber . It is an option on any platform but highly recommended for any GDI engine . Last edited by shorttrack; 3 Weeks Ago at 08:43 AM. 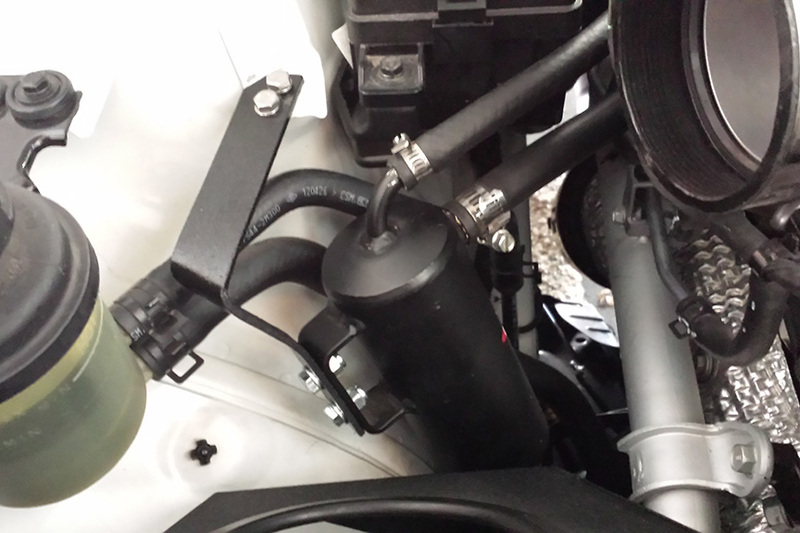 I have a 2.0lt and just use a $5 plastic fuel filter that I put in between the pvc hose + intake. Works great and you can see what stuff actually gets blown out of the pvc valve. I just change it as part of my oil change schedule . I use a small air tool water/oil seperator and made/bent my own custom metal/rubber line between the P.C.V. and intake, it was cheap but works and dosent take up much space but its small so i press the drain valve to empty it at least once a week. Red Raspberry and shorttrack like this. I've got a BK1 3.8 and have been meaning to install one but I'm already at 60K miles on my 2012. I've been trying to figure out where and how to mount one but I don't have much experience doing this. Would this require me drilling into the firewall or something? 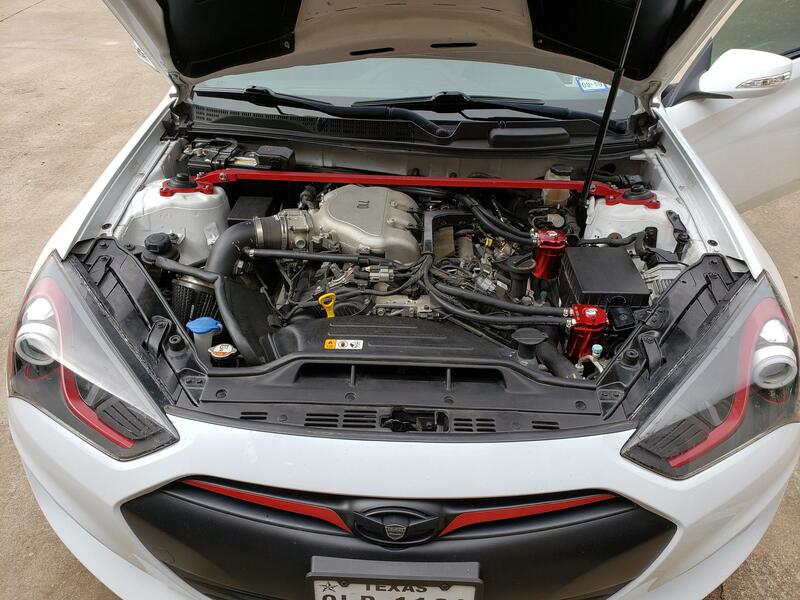 Some have also mounted it on the strut tower bar, it's really about finding a spot that allows you to fit the can you pick and also run hoses with out and crazy dips or bends in the line. I seen a YouTube video where someone mounted it next to their Optima battery. Anybody here have any luck with that on a bk2 3.8? ?